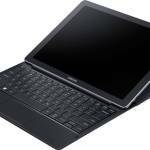 Did you know that Intel makes own-brand tablets, laptops and 2-in-1s? I’ve had a couple and they’re pretty good. 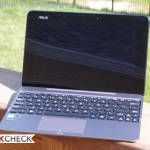 The latest is built on the next-generation Core platform codenamed Skylake which is due in late 2015. Nicole Scott from Mobilegeeks got a close look at the prototype at Intel’s developer conference in Shenzen and I’ve just taken a look at a PDF presentation describing what’s inside. It’s inspirational, and that’s the idea because these products aren’t targeted at consumers, they are early showcases that are meant to stimulate product designers and software developers into creating the next-generation PCs that you and I might want to buy in 2016. 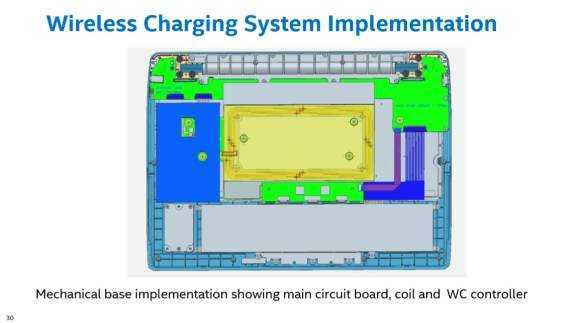 Read-on to find about E-ink, WiGig, USB-C, wireless charging and other new technologies that you’ll find inside the Skylake reference design and might find in your next 2 in 1 tablet. Skylake, the next generation Intel Core platform, has been teased a few times and it has usually been in conjunction with Intel’s ‘no wires’ marketing and 2-in-1 designs. 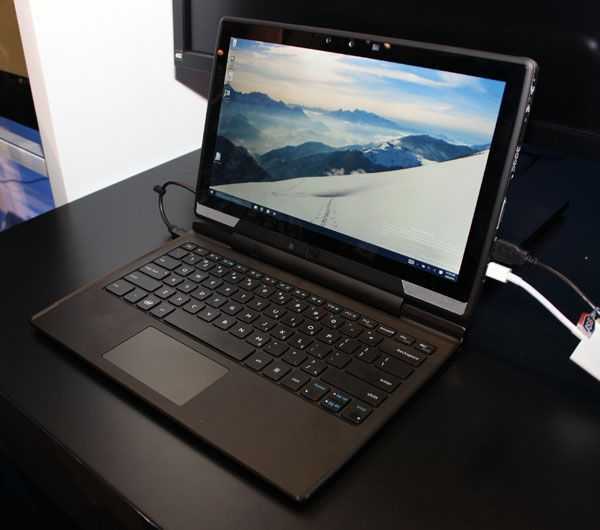 I expect the platform to form part of a new Core M range (probably before any other laptop or desktop versions) and for it to be a big step forward in both processing capability and features. WiGig is coming of age as is USB-C but there are other technologies like wireless power, NFC and RealSense that Intel want to push. In a presentation at IDF 15 last week Intel even highlighted E-Ink secondary screens. E-ink secondary screen on a tablet. 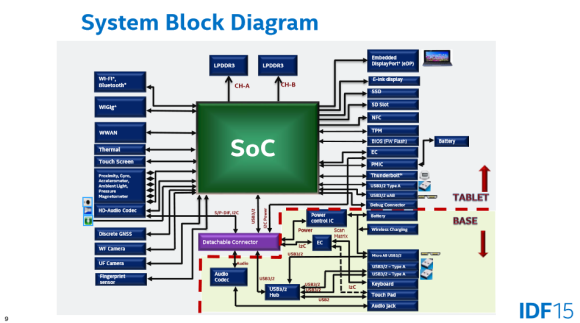 You’ll see it demonstrated in the video below but before you take a look at that, look at some of the details that Intel presented to attendees at IDF. The presentation PDF (available here but you might have to go through the session catalog here first) is titled “Integration of New Technologies for 2 in 1 Detachable Systems” and although it doesn’t directly reference Skylake, it’s clear that Intel are talking about next generation high-end architecture in the presentation. 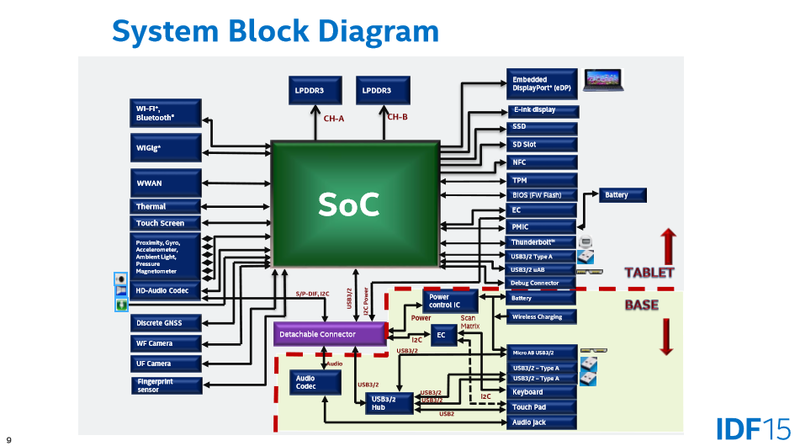 Processor block diagram. Likely to be Skylake. 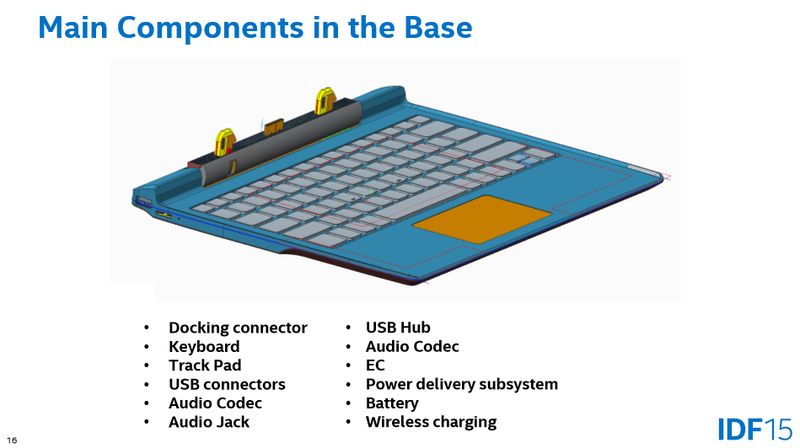 Note wireless charging in base. 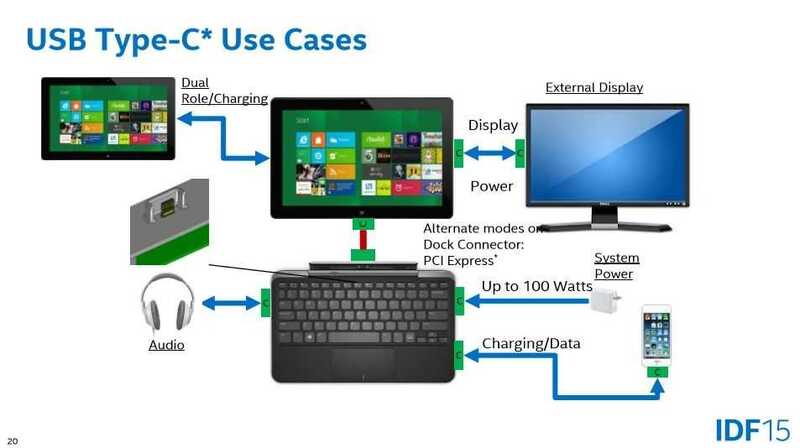 Intel sees USB-C playing a big part in docking connectors for tablet and keyboards. In theory this could lead to some level of standardization. You might be able to plug a wireless charging keyboard into a tablet with a small USB-C cable, for example. 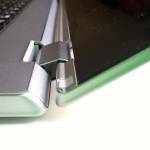 USB Type C can be used for docking keyboards to tablets. 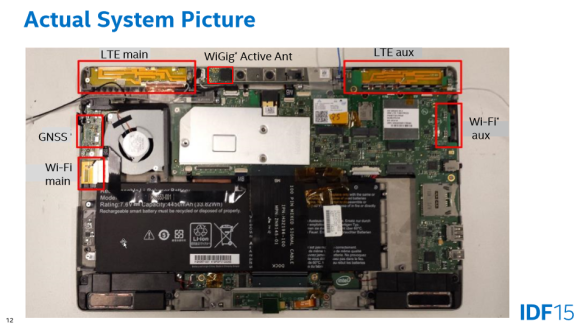 The tablet internals showing RealSense camera, 34 Wh battery and more. 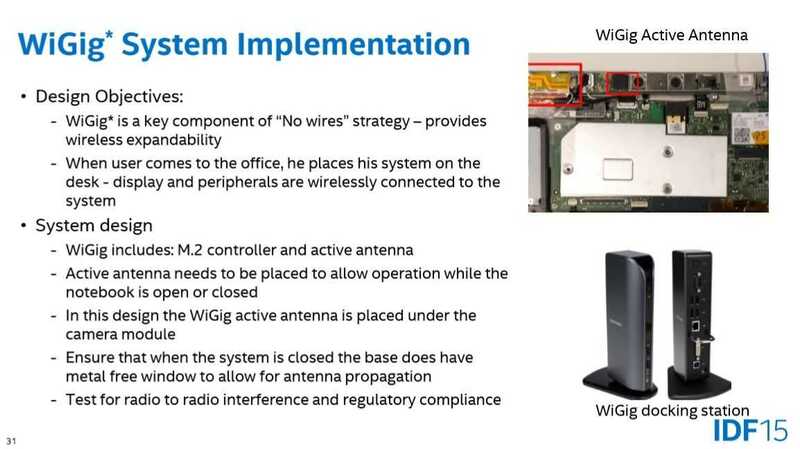 WiGig – Critical to Intel’s ‘no wires’ strategy. Wireless charging on a 2-in-1. Nicole Scott from Mobilegeeks got to take a look at the real thing at IDF 15 in Shenzen. Take a look at the video below and read Nicole’s article here. Let us know what you think of these new technologies in the comments below. Which of the features do you want first and how much are you prepared to pay? Wow! Great article with a lot of new information I have not heard of. 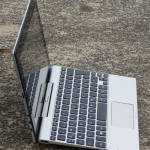 Modern Laptops and Desktops have always-on internet with WiFi and Windows updating itself at basically sleep mode. “Connected Sleep” they say. 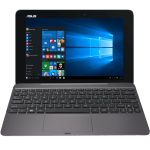 You can’t avoid having GPS if you are planning to sell a Laptop that keeps up with future demands and keeps getting portable. 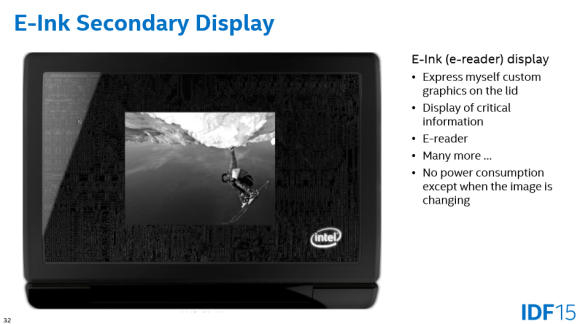 E-ink is interesting. In meetings I often just need paper/information to read. If I can switch to e-ink, the power saving could be very helpful.